How Many Miles Is Too Many for A Car? 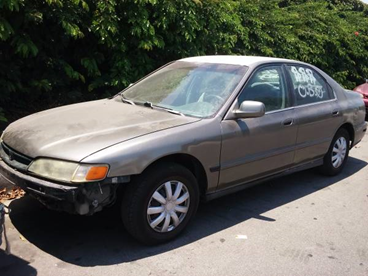 Fred's Auto Removal | Cash for Junk Cars Portland > Blog > Junk Car > How Many Miles Is Too Many for A Car? Are you thinking about selling your used card, truck or RV but aren’t sure if you sell it or hang onto it for a few more years? Although you may still love your vehicle, the reality is that as a vehicle gets more miles on it, that car, truck or van will begin to breakdown more often and you may find yourself spending more money to keep that vehicle on the road compared to what you could be spending for a newer vehicle. When most vehicles have 60,000+ miles on them they can generally be considered to be drivable for a few more years but when a vehicle has over 100,000 miles on it, this generally is the point in a car, truck or vans life when it should be sold or recycled. Besides not running in optimal condition like it did when it was newer, that vehicle will have parts that are going to need replacing as they begin to wear with age. Some of the parts you can expect to replace on an older vehicle include your sensors, air conditioner motor, alternator, clutch, brake drums and more. In today’s world a vehicle isn’t made to last forever especially if it’s been known or loved over the years and with technology improving by the year it makes sense to purchase a newer vehicle because this will also ensure that you are able to enjoy a safer, higher quality drive each time you get behind the wheel. Once you’re ready to make the decision to get a newer vehicle the big question is what should you do with your old vehicle? Should you try selling it on Facebook, Craigslist or recycle it? The answer to this question is you should recycle your vehicle with Fred’s Auto Removal since we will pay you what your vehicle is really worth. To get started with recycling your vehicle contact us today by calling (503) 810-3061 or click here to connect with us online.